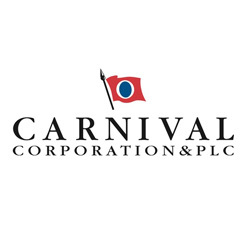 Carnival Corporation celebrated the official launch of OceanView by hosting an event in Times Square and simultaneously synchronizing multiple digital billboards in the area to highlight their new streaming channel. OceanView is the world’s first digital streaming travel channel for land and sea. 100 Mbps dedicated point to point internet connection with less than 5 hours turnaround time. Custom WiFi networks for production team and staff. Dedicated ethernet hardlines for streaming devices. On-site installation and breakdown. Remote monitoring from Midtown NOC. 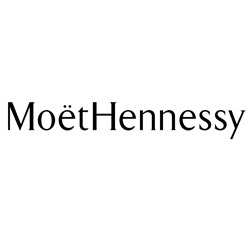 In September 2018, Dom Perignon partnered with Lenny Kravitz to present his photo exhibition “Assemblage”. The one week event brought together many personalities from cinema, music and fashion. The event spanned 3 continents and kicked off in New York City at Skylight Modern. The final event of New York Fashion Week 2018 was held at the historic Brooklyn Navy Yards in northwest Brooklyn and highlighted Rihanna’s Savage x Fenty fall-winter lingerie collection. The event featured some of the world’s most famous supermodels including Gigi and Bella Hadid as well as the bad girl herself, Rihanna. This invite only event relied heavily on internet access as social media influencers were leveraged to stream the event to their followers using their own devices in an area where cellular service was lacking. The event also feature a dedicated live-stream to YouTube which required hardline ethernet connectivity and dedicated internet access. 150 Mbps point-to-point dedicated internet connection. High density WiFi for 1000 attendees in an open layout environment. Wired ethernet drops for YouTube streaming broadcast team. Dynamic VLANs for guest connectivity. Private WiFi connection for production team. On-site technical support throughout the entire project. The 2018 Annual Make-A-Wish Gala was held at the Samuel & Josephine Plumeri Wishing Place in Monroe Township, NJ. The event featured over 700 high profile guests, special performances and a silent auction that raised over $1.1 million dollars to support upcoming wishes for children and their families. 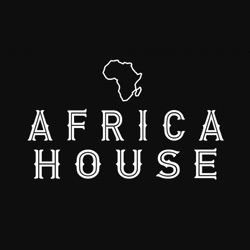 The Africa House pop-up event was held in Midtown Manhattan and offered a collection of discussions, presentations, interactions and exhibitions with an aim to redefine the narrative on what’s positive and possible in Africa today. The event featured many prominent policy makers, thought leaders, business executives and artists from around the world. 400 Mbps coaxial internet connection. WiFi coverage across 3 floors for 500+ devices. Separate networks for guest, production and VIPs. Custom splash page authentication for guest devices. Collection of authentication data for post event marketing. Aesthetic oriented installation with no visible ethernet cable. On-site installation and breakdown. Remote monitoring from Long Island City NOC. 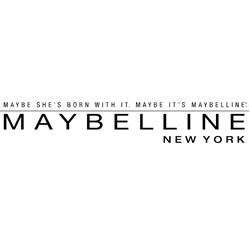 The Maybelline House pop up event took place during NYFW 2018 and hosted guests from over 25 different countries around the world including makeup artists, social media influencers, consumers and industry trendsetters. The event featured several Instagram friendly installations that were created to display the life of New York City socialite. The event was open to the public and guest WiFI was provided to encourage and enable quick and easy social sharing. 140 Mbps point-to-point dedicated internet connection. High density WiFi for 500 attendees. 8 access points deployed across event space, BOH area and next door classroom location. Wired ethernet drops for A/V team, POS devices and photobooth. Aesthetic oriented cable runs with limited visibility. Dynamic VLANs for guest devices and private VLANs for all vendors with QoS enabled. Remote monitoring from Long Island City NOC. The second show of Alexander Wang’s 2018 collection was held in the historic event space at One Hanson Place. The second show of two featured experimental clothing, a guest list filled with celebrities, fashion socialites and even robots that use artificial intelligence to conduct interview with the models. 140 Mbps point-to-point dedicated internet connection installed in venue with very limited internet options. WiFi for 100 members of production and A/V team. 4 Access points deployed across video village, BOH area and production room. Wired Ethernet drops for video team to support live Instagram and Facebook stream. Ethernet connections for internet enabled artificial intelligence system. Aesthetic oriented cable runs with limited visibility. On-site support during entire event duration. On-site install and breakdown. 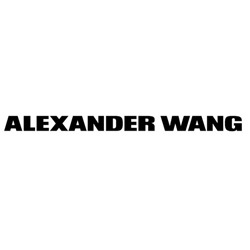 Alexander Wang announced that he would be shifting his fashion show runway schedule to June and December instead of the traditional September and February approach used by other designers. The first show of two featured experimental clothing, a star studded guestlist, and was held on the rooftop of one of New York’s newest event spaces, Pier 17. Multi-carrier bonded cellular router. High density WiFi for 100 production staff. Aesthetic oriented cable runs with limited visibility. On-site installation and breakdown. Remote monitoring from Long Island City NOC. 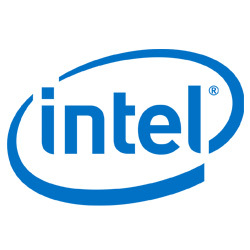 Intel’s premier business event offered an exceptional chance for over 400 business and IT leaders to discuss ideas and share perspectives on the future of digital business and its impact across industries. The event featured interactive internet enabled experiences and featured presenters included Andrew McAfee and Mitchell Joachim, PhD. 100 Mbps dedicated point-to-point connection. Wired ethernet support for interactive experiences and A/V equipment. High density guest WiFi connectivity for 800 devices including variety of smart phones and tablets. Splash page authentication for guest devices. WiFi support for 30 production devices. Dynamic VLANs for guest connectivity. WiFi coverage delivered to basement and first floor of venue. On-site install, configuration and support for entire show duration. 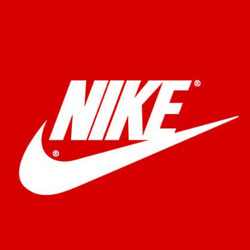 Nike and Footlocker teamed up for four exclusive pop up shop experiences One of four Nike Sneakeasy events held in 2017, the Wall Street location featured a one-on-one shopping experience, a custom built set that resembled a spaceship and delivered limited edition footwear to customers using deposit box style doors, golden foil and UV designs. 250 Mbps dedicated fiber connection. Wired ethernet support for POS devices, printers, and A/V equipment utilizing 28 port Cisco managed switches. Guest WiFi connectivity for 200 devices. WiFi support for 100 production, vendor and BOH devices. WiFi coverage delivered to basement, first floor and second floor mezzanine. Remote monitoring from Midtown NOC for entire one month build out and show duration. On-site support from open to close for 2 week show duration. WiFi installation in highly secure Wall Street location. 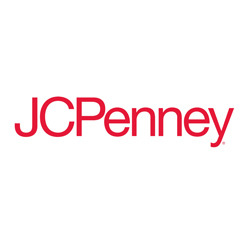 J.C. Penney’s Jacques Penne pop-up shop was held at 446 Broadway in New York City and offered curated collections from the store’s most recognizable brands. The goal of the pop-up shop was to showcase the brand’s gift assortments for the 2017 holiday season with all proceeds benefiting the J.C. Penney Foundation, a charity program dedicated to underserved youth. 400 Mbps coaxial internet connection. WiFi access across 2 floors of pop-up shop. WiFi access for guests, production and staff. Aesthetic oriented cabling with minimal visibility. Hard-line ethernet connectivity for several Sonos speakers. WiFi enabled security cameras with 30 day video retention across 2 floors of pop-up shop. On-site installation and breakdown. Remote monitoring from Midtown NOC throughout entire month of pop-up shop build out and show dates.